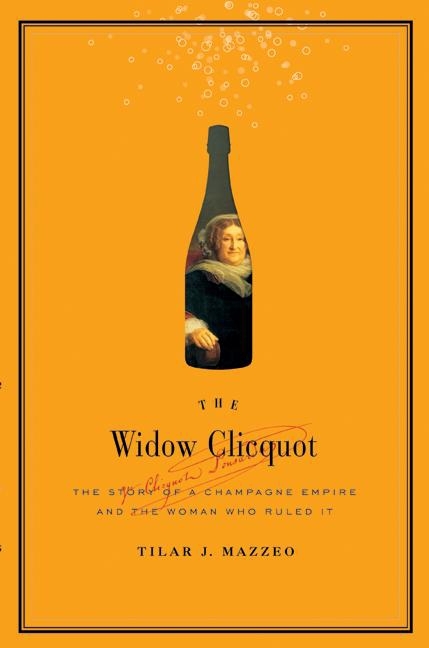 The Widow Clicquot: The Story of a Champagne Empire and the Woman Who Ruled It by Tilar J. Mazzeo, HarperCollins, 2008, $32.99. In these days of global crisis and world change, what a good time to be reading about champagne, an industry which has weathered worse storms than this (heck, we’re not at war. Yet.) Mazzeo’s curiosity about Madame Clicquot arose through finding a minute biography on a small card tucked into a box of the 1996 vintage Grand Dame. So she set out on a journey to fill in the gaps. Mazzeo is frustrated by the fact that so little has survived in archives and repositories to pad out the existing narratives of Madame Barbe-Nicole Clicquot Ponsardin’s long and remarkable life. So she does what Diana Souhami did in Selkirk’s Island, and just makes it up. I find this the literary equivalent of a sore tooth; it keeps making itself felt, but there is apparently nothing one can do about it apart from put up with it until it’s gone. To be told “Barbe-Nicole must have felt …”, and “Barbe-Nicole must have thought …” is only mildly distracting at first, but becomes irritating over time, especially when her imaginings are of a rather Mills-and-Boonish quality. (Au contraire, Barbe-Nicole’s reputation makes me imagine her stomping along the vines and whacking them occasionally with a stick while making salty jokes with a good-looking young clerk at her side.) And it’s especially a shame because the rest of the book is so very interesting. Barbe-Nicole was one of the champagne industry’s great ladies (the others are Louise Pommeroy, Mathilde-Emile Laurent-Perrier and Lily Bollinger). Having survived the French Revolution as a child, despite having an arriviste and social-climbing father, Barbe-Nicole Ponsardin was married at the age of nineteen to François Clicquot, a romantic dreamer with big ideas and suspiciously emphatic mood swings. The Clicquots were in the textile business, as were the Ponsardins, but François was determined to develop the family’s sideline wine trade. François took huge risks in a volatile European economy, and died young of typhoid (but rumours promptly circulated concerning financial ruin and cut throats). Barbe-Nicole, a stout pragmatist with a sharp tongue and a taste for account books, got to work instead. Amid a chorus of bursting bottles, vine-drying heatwaves, Napoleonic wars, blockades, invasions and risky business of all kinds, Barbe-Nicole—now La Veuve Clicquot—lost her entire fortune more than once, but always came up trumps. She lived to be eighty-nine, and along the way pioneered new techniques of fermentation, purification and—vitally—marketing. Marketing—along with other forms of froth and bubble—is the key to champagne’s global success story. People have been confabulating about famous champagne-makers since the Dom Perignon chestnuts, and La Veuve was quick to catch onto this. She also twigged to the importance of undercutting competitiors, smuggling, bribery, and eternal vigilance over the company accounts. Arch-enemy Jean-Remy Moët is nicely cast as Snidely Whiplash in Barbe-Nicole’s life; in the absence of any images of him in the text, I can only imagine his black curling moustaches and top hat. I am going to tell you a secret … You more than anyone resemble me, you who have such audacity. 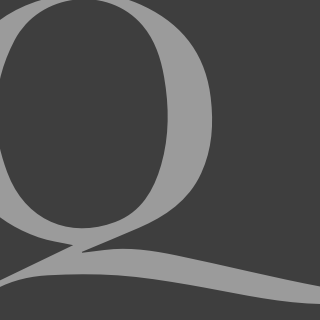 It is a precious quality that has been very useful to me in the course of my long life … to dare things before others. In this respect as in others, La Veuve reminds me strongly of Germaine de Staël—a comparison which would have horrified them both. Madame Clicquot was plain, tough and sharp-tongued, and like a lot of plain, tough and sharp-tongued women in trying circumstances, seemed to have a penchant for handsome young men with promise. Son-in-law Louis de Chevigné fitted the bill—and bills there were in plenty, for years to come, run up by him and freely paid by Barbe-Nicole. La Veuve also seems to have fallen for one George von Kessler, who shared many of her husband’s more attractive traits. But perhaps the most lasting love was Edouard Werlé, a poor young German with a brilliant business mind and La Veuve’s eventual successor. No one-sided toy-boy affair, this—Edouard was worth his weight in gold, and years later when the Clicquot champagne empire almost went broke because of bad investments, he supported it with his own money. This book does not leave one empty-handed: here are useful conversational gambits to impress your next date. Why are roses planted all round the vineyards of Champagne? Roses are highly susceptible to any form of disease and will pick anything up long before any other plant, alerting the vigneron to take the necessary precautions. And did you know that champagne was actually invented in Britain, and it was the British palate that led the demand for today’s brut champagne? French champagne was originally sickly-sweet and pitched firmly at the Russian market. And that lovely orange label on the Veuve bottles today was originally developed to distinguish the brut champagne from the more posh stuff? This line of repartee will be bound to impress even the most blasé bankrupt corporate type, as the two of you get righteously stonkered before the bank cancels your credit cards at midnight. Truly a book for our times.